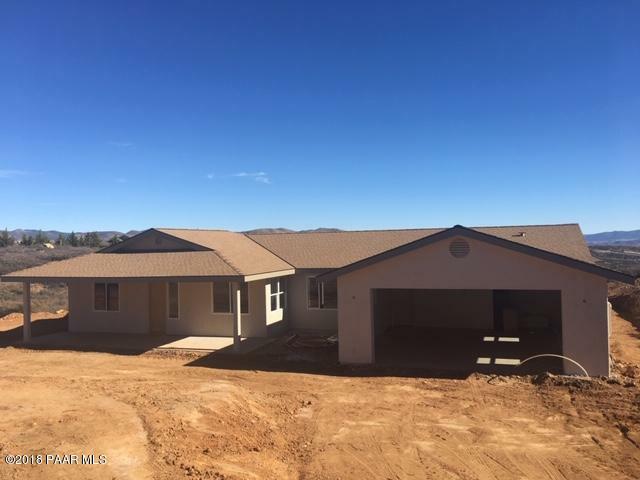 All Dewey-humboldt homes currently listed for sale in Dewey-humboldt as of 04/23/2019 are shown below. You can change the search criteria at any time by pressing the 'Change Search' button below. "Not just a house! 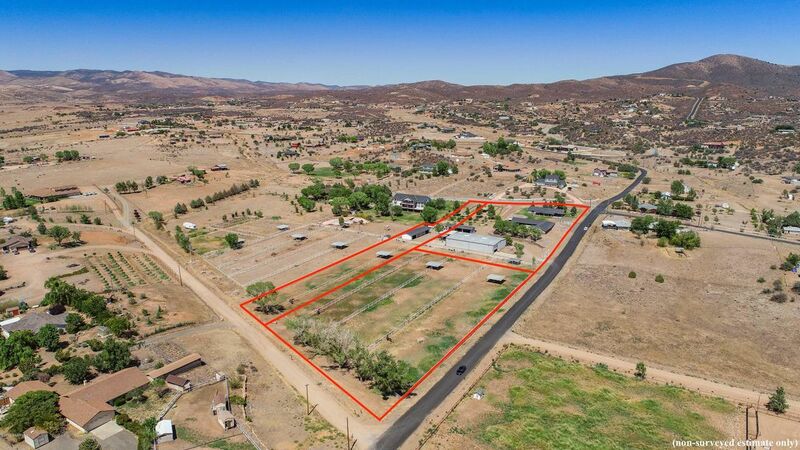 approx 6.1 acres comprised of home, approx 3 acres pipe-fenced corrals, 7690 sf dual heated metal shop/utility shed with 2 apartments and vehicle hoist, 1280 sf hay shed, 1080 sf hay shed, 2005 sf stable, 1692 sf 8-car detached garage, hot walker, wash station, office, Very well kept - race horses raised! Plus large garden, fruit orchard, two high producing wells, totally fenced, well worth the trip to see the facilities and beautiful views!" "INVESTMENT OPPORTUNITY! Meet the Mediterranean Mansion with stunning hilltop views. 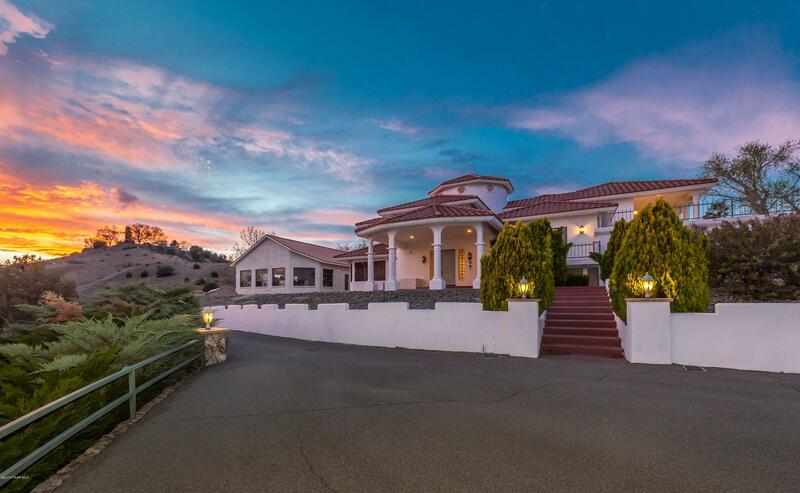 This grand estate boasts luxury finishes throughout. Open concept entertaining with soaring ceilings and views. Professional grade kitchen with two dining areas, media room, wet bar, wine cellar, office. Extending from each of the 8 bedrooms are private courtyard's, balcony's, and views, providing strong indoor/outdoor relationships throughout. Additional buildings include private 882 sq. 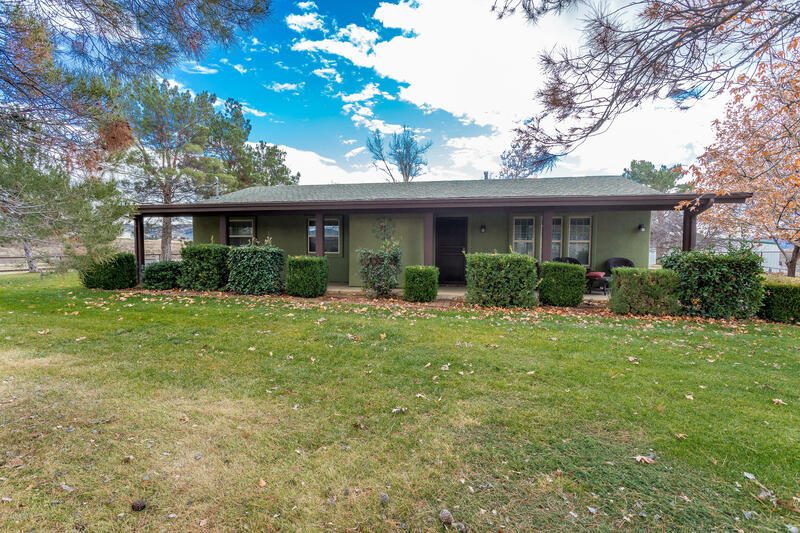 ft. guest house w"
"This offering is for one of Central Arizona's premier horse facilities established in 1987. 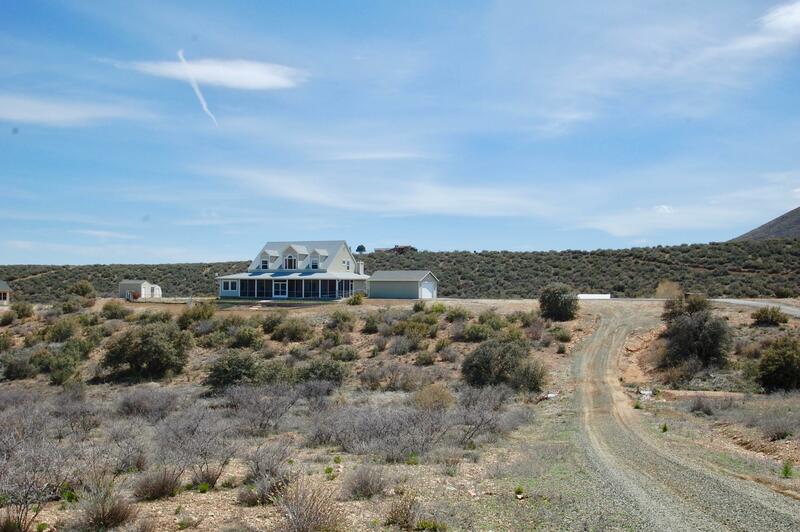 The property is over 44 acres (on four parcels) at 4800 feet in elevation. 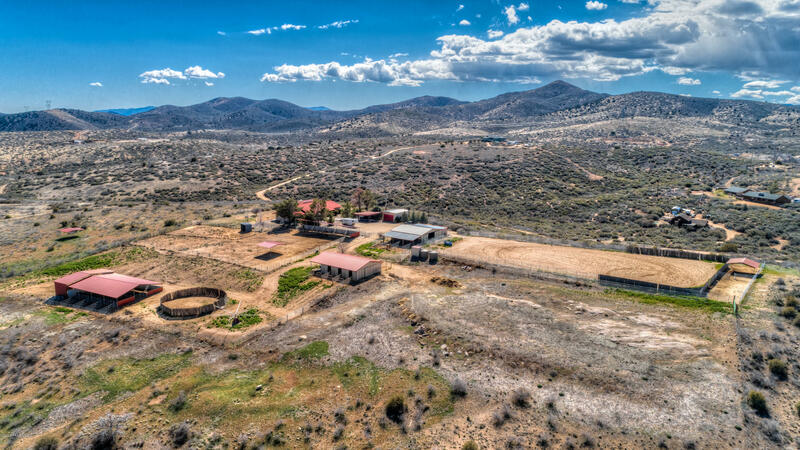 This is a beautiful, working, income producing, commercial horse ranch at the ideal location has 4 homes (total square footage, beds & baths combined) 1200 SQ Ft Site Built in 1991, 1680 SQ Ft Double Wide,1990, 600 SQ Ft Single Wide 1999, 720 Ft Single, 3 private wells, 59 stalls, covered and open arenas, pastures, paddocks, roun"
"Your DREAM Home awaits, STUNNING 360 degree VIEWS inside and out, this Magnificent Luxury Home is nestled in a Private, Prestigious, Upscale Neighborhood of Larger Homes with Acreage and Horse Privileges! Located in the desirable area between Prescott, Sedona/Flagstaff and Phoenix, this Masterpiece will soon become your Oasis Retreat. Whether hosting Family Reunions, exclusive Private Parties, your dearest, closest Friends, this home will Amaze and Ultimately Impress every visitor. This proper"
"Hidden Gem that so many have just driven by and not even noticed. 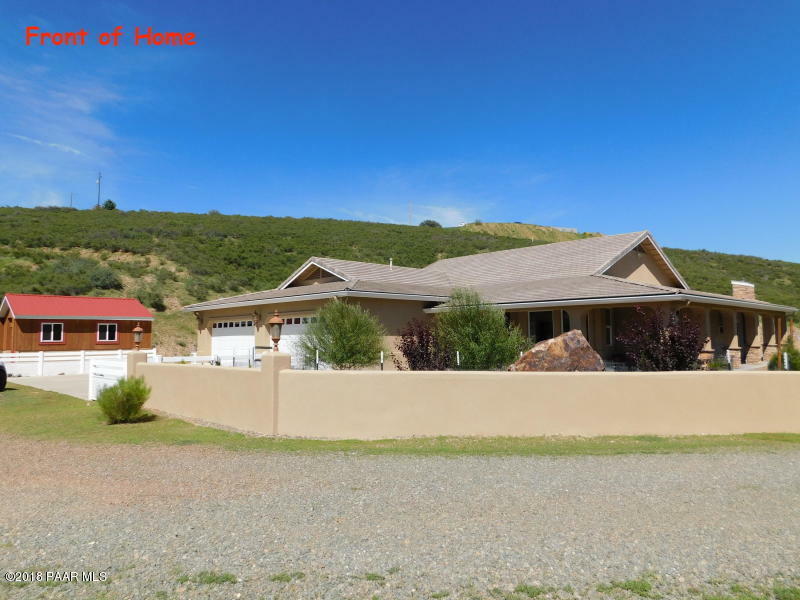 3 bedroom 2 bath Unique Cabin on 108.37 acres with a private driveway into the Bradshaw Mountain Range with limited dirt road. Views overlooking Mortimer Farm and the green belt of Lynx Creek. Horse Stall as you approach the property on the hill. Detached 2 car garage with 2 separate additional doors besides the main bay. Fenced area to main patio so you can keep unwanted animals from your back door. With so much acreage the imagi"
"Professional horse facility. Home location on property is very private and the views are incredible. Home has 4 large bedrooms, great room, with the kitchen open to to the great room. Bathrooms are also large. Its a very comfortable home for the family. There are 2 barns with concrete breezeway floors, and 2 mare motels. 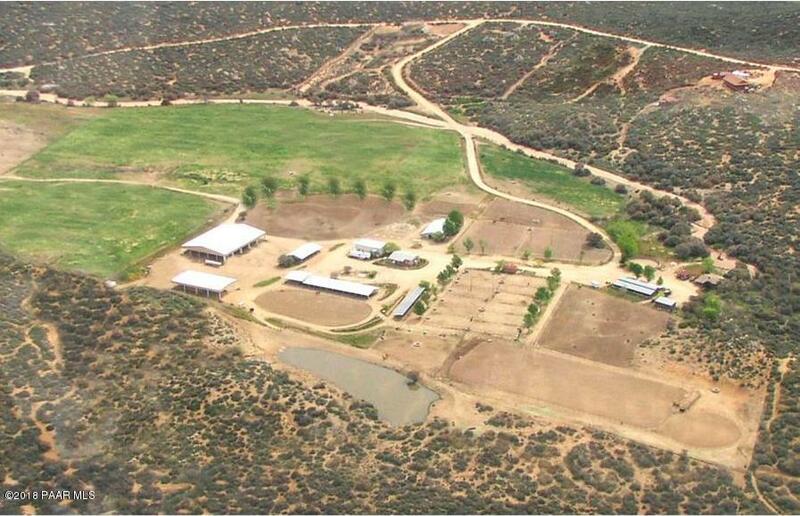 Huge arena, round pen, 6 horse hot walker. Property is fully perimeter fenced with cedar stays, and there are 5 pasture shades. Heavy duty fencing around mare motel and catt"
"Equestrian property at its finest in Dewey Arizona! 6.84 irrigated acres with split and crossed fenced pastures. 150' x 300'' LIGHTED ROPING ARENA. 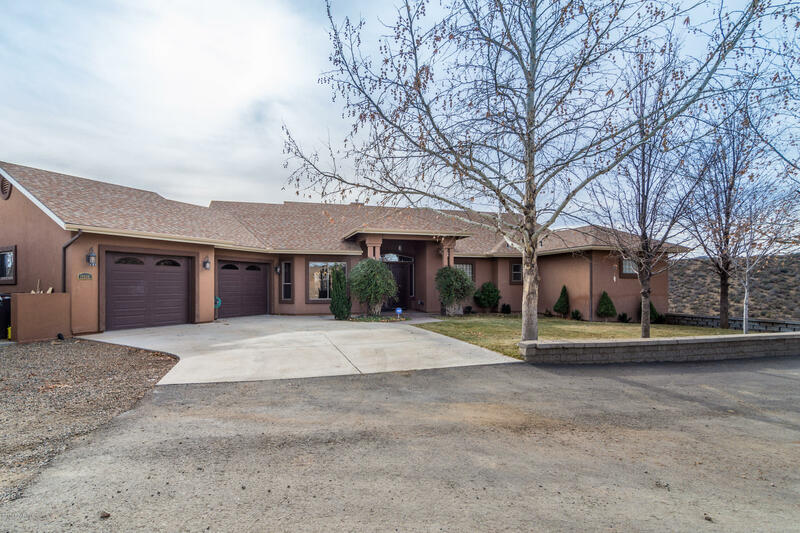 10 Stall Horse Barn/Stable is 2,592 SF Built in 2000 with full outside pipe runs which sets behind this 3 bedroom, 2.75 bath ranch home. An over-sized 2 car detached garage with workshop and water storage tanks compliments this property. A steel machine shed big enough to house your water truck, tractors & ORV Toys. 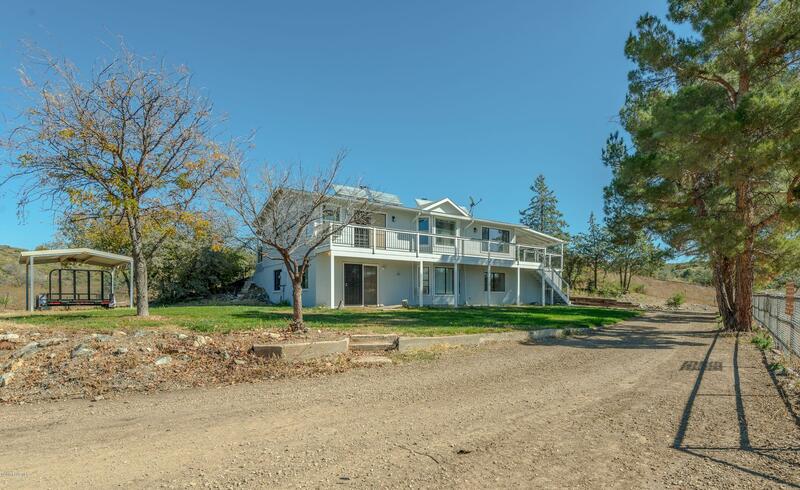 Property has 2 interconnected Well"
"If you have always wanted luxurious country living with views, acrage, and a guest house then this is the home for you. Featuring over 4000 sqft in the main house and a 700sqft guest house. The main home offers five bedrooms and five bathrooms that are all spacious, updated and provide great natural light. 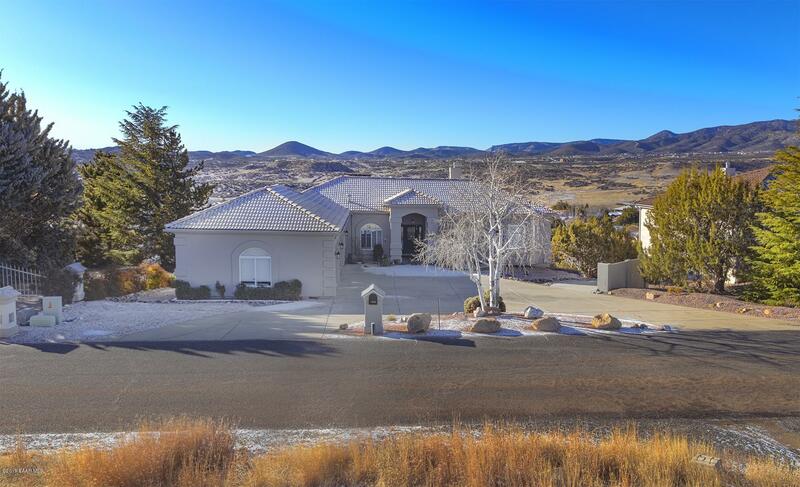 The kitchen is completely upgraded offering stainless steel appliances, backsplash, views of the Bradshaw Mountains and open to the living room. 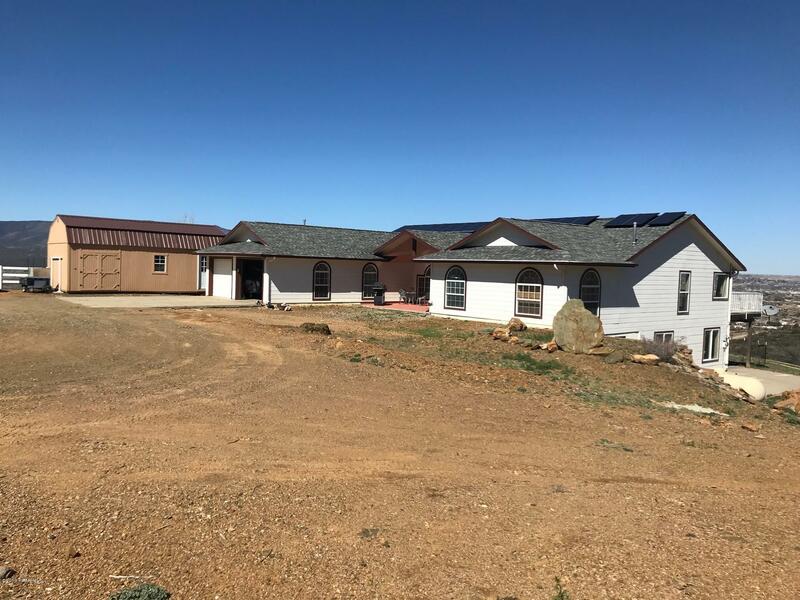 The large master has walk in closet and an amaz"
"UPSCALE RURAL LIVING, PRIME LOCATION - Welcome to this beautiful and spotless, 2,336 square foot custom home in one of Dewey's most desirable areas. On a coveted, tree-lined street adjacent to Mortimer Farms, you'll have plenty of room to work, play, garden, and relax on 2.48 acres of level, usable land. New exterior paint, attractive stonework, large covered entry, and tidy landscaping provide great curb appeal. 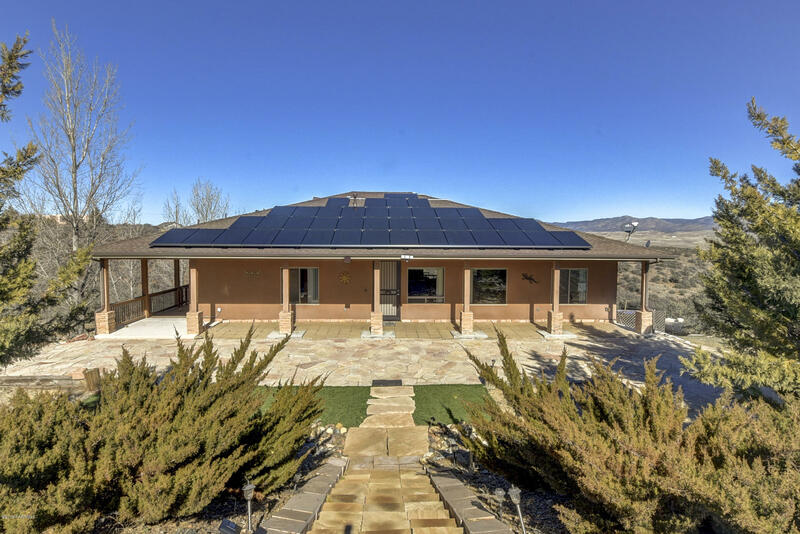 The enormous great room is comfortable and inviting, with its soaring vaulted cei"
"Incredible sprawling Ranch with privacy, seclusion and Mountain Views.This one of a kind dream home is Nestled on 3.22 acres in Dewey which is conveniently located 45 min. from Anthem and 25 min to downtown Prescott! This 3798 Sq. Ft home doesn't miss any attention to detail. 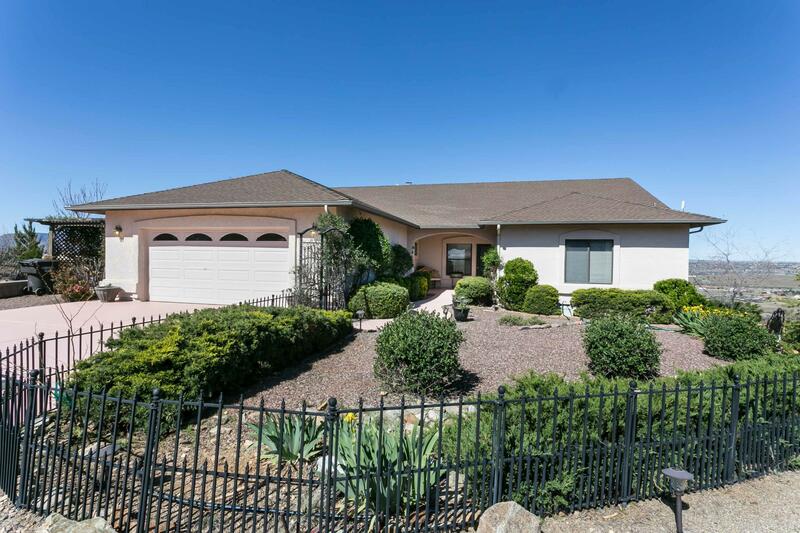 4 Bedrooms, 2 3/4 Baths with a 4 Car attached Garage. Chef's Gourmet Kitchen is great for entertaining. Energy efficiency with LOW utility bills with the option to be off grid too! Property backs to BLM Land. Separate sh"
"This view property has it all! Accent door for a beautiful introduction to this beautiful home, high ceilings and lots of windows for great light. 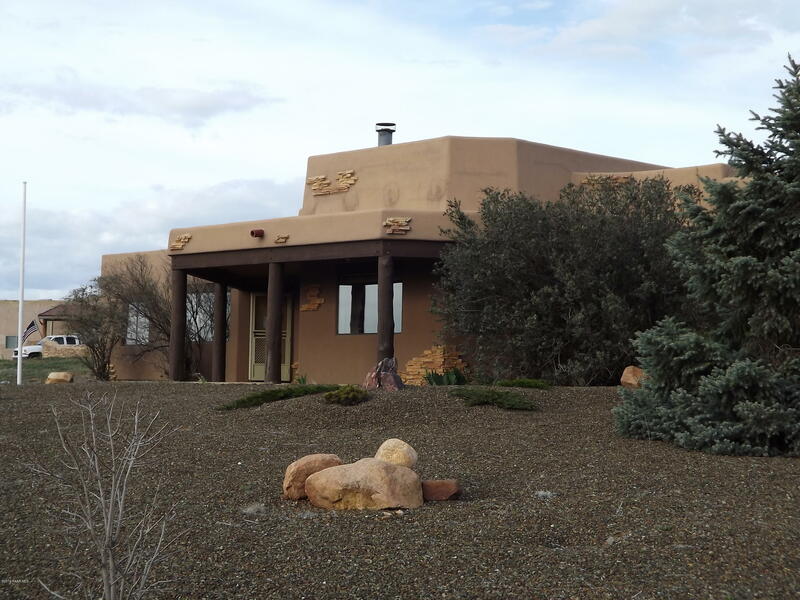 Open living room with custom fireplace with adjoining Arizona room with panoramic views! Open kitchen that would delight the chef of the home and their guests. Lots of cabinet space, granite counter tops and newer appliances. A home to entertain , relax and enjoy the seasons! Master suite is on the main level and one additional bedroom/bathroom. Stora"
"Mini Estate on 6.6 Acres with separate 36 x 30 Workshop/RV Garage. The home also offers an additional 2 car garage. 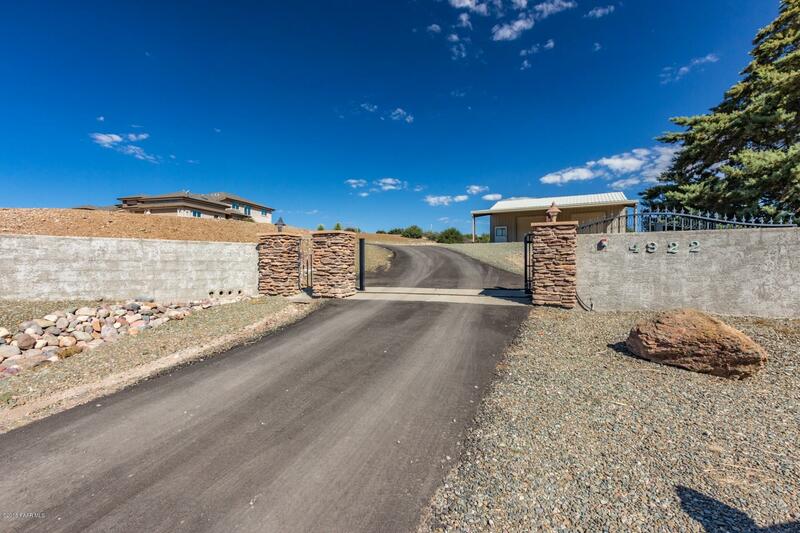 Two driveways (black top and gravel) to the property which sits on a knoll offering long distance views. 5 bedroom 3 bath home with custom trim, crown molding and custom cabinets plus many built-ins. This home is on a private well and septic. 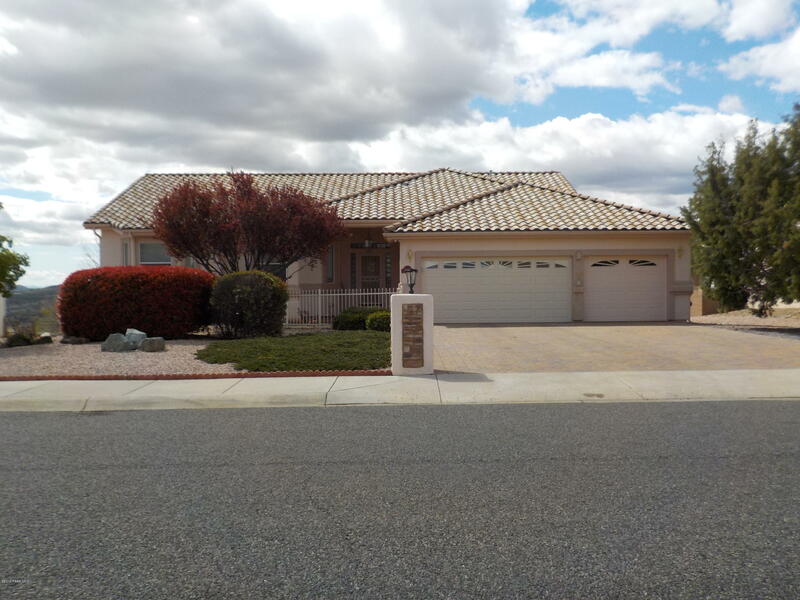 This is the ideal home for active retirees or a wonderful get-away from the busy city life. 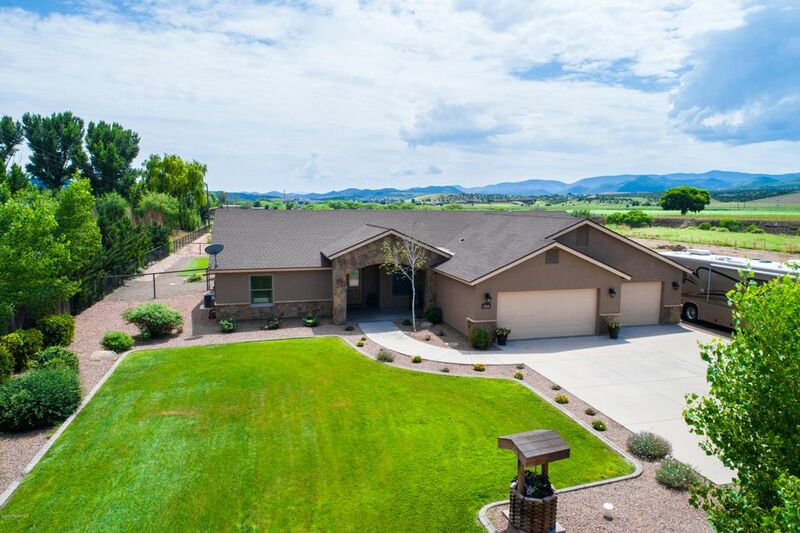 Close to I-17 and Mortimer Farms. The spacious s"
"VIEW-VIEWS-VIEWS. Remarkable 3252 sq. ft. house with 4 bed/3 full bath. Attention to detail everywhere. Granite counters throughout. Separate mother in law lower level of home with a level private entrance and full kitchen. Effortlessly flowing open floor plan with formal dining room, office. 2 large covered decks with outstanding views and peace. Extra wide staircase to the lower level of the house. Propane fireplace, jetted tub in master bathroom. 2,000 sq. foot shop/RV garage with 2 roll up d"
"This custom built home is on 8.8 acres backing up to State land and has great views. New carpet in the bedrooms. There are 2 master bedrooms on the main floor. One has a large corner tub that overlooks the gorgeous views. There is formal dining, family room, living room, large kitchen (with half bath off it) and a huge laundry room. Downstairs you have 3 large bedrooms, 2 baths and a large area that can be a game room or easily converted to a kitchen/living space for that extended family. 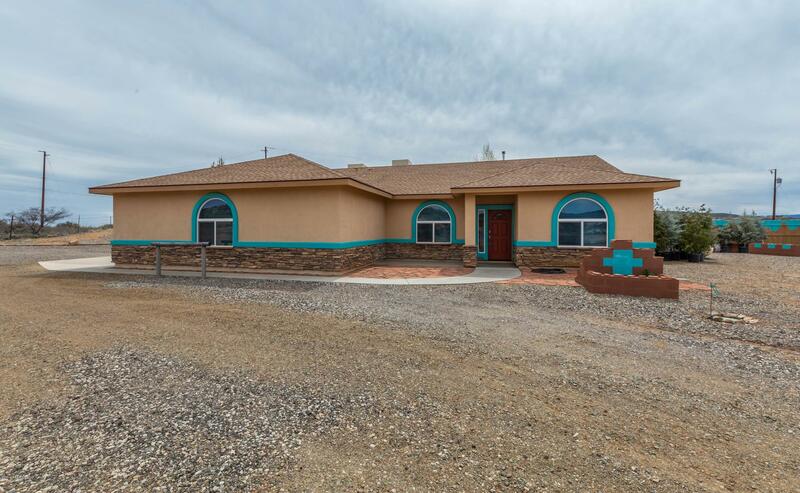 Th"
"This beautiful custom home has views and tons of natural light. All kitchen appliances are installed; final landscaping is being finished soon. Located in gently rolling hills, enjoy four mild seasons and serenity. Paved roads run throughout this subdivision. High quality interior features and fixtures include Oakcraft cabinets, granite counters in the kitchen and bathrooms and quartz in the spacious laundry room, 12 X 24 stacked floating porcelain tile, a beautiful master suite with a large w"
"If you've ever wanted to live in one of the most sought after areas in the quad cities area then this is the home for you. 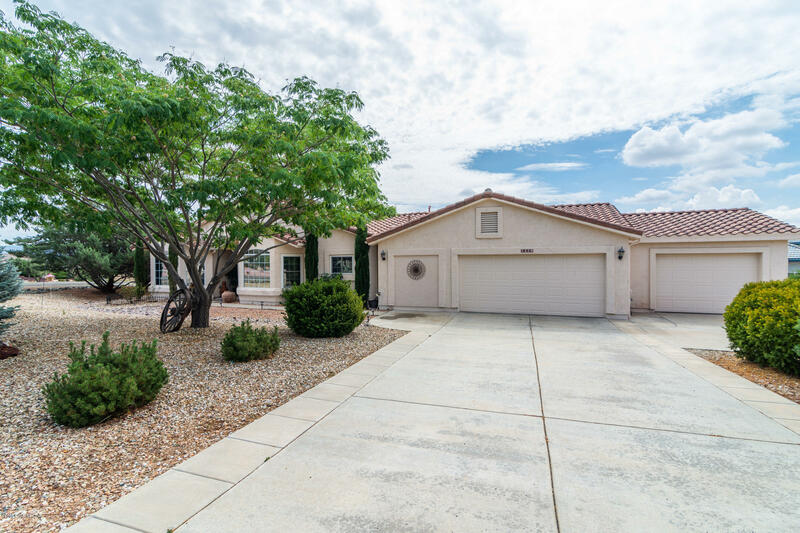 Completely updated interior, with new interior paint, newer light fixtures, tile throughout, new duct work, AC, Furnace, completely remodeled master bathroom with a 100 sqft extension, huge walk in tile shower, huge walk in closet. This home also afters 2 office spaces or a formal entertaining area. Deep garages with shelving. 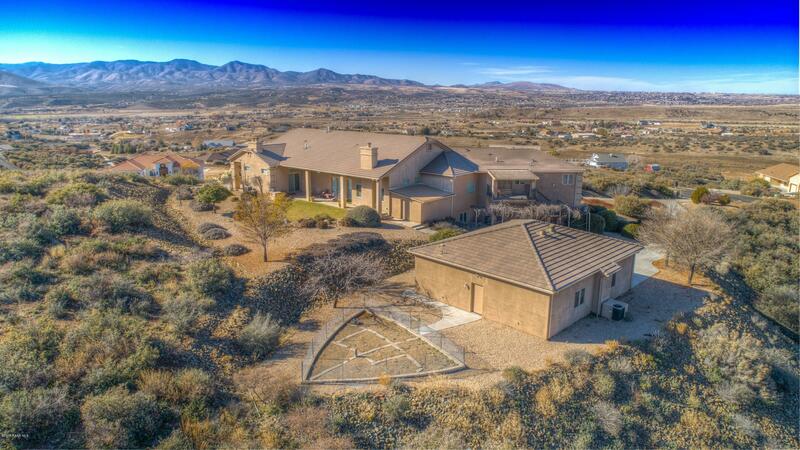 The backyard is full fenced with an incredible v"
"Spectacular Golf Course Views! This well appointed home has been completely remodeled and features 3 bedrooms, 2.5 baths, hand-scraped maple floors, great room with high ceilings, wet bar, buffet, and wood burning fireplace. Granite kitchen features breakfast bar, SS appliances, gas range, and great counter and cabinet space. Master suite has large windows to enjoy the view, gas fireplace, and lovely custom bath with granite vanity, walk-in shower with 2 shower heads, and walk-in closet. Bedroom"
"Contemporary Single Level Home with Spectacular Views located on the 3rd Fairway of Prescott Country Club.This beautiful home features a bright open floor plan, vaulted ceilings, spacious living room, with a large expertly crafted Built-in Bookcase. The home has abundant natural lighting from 2 skylights, & soft back lighting from above. From the moment you walk in, you feel at home. 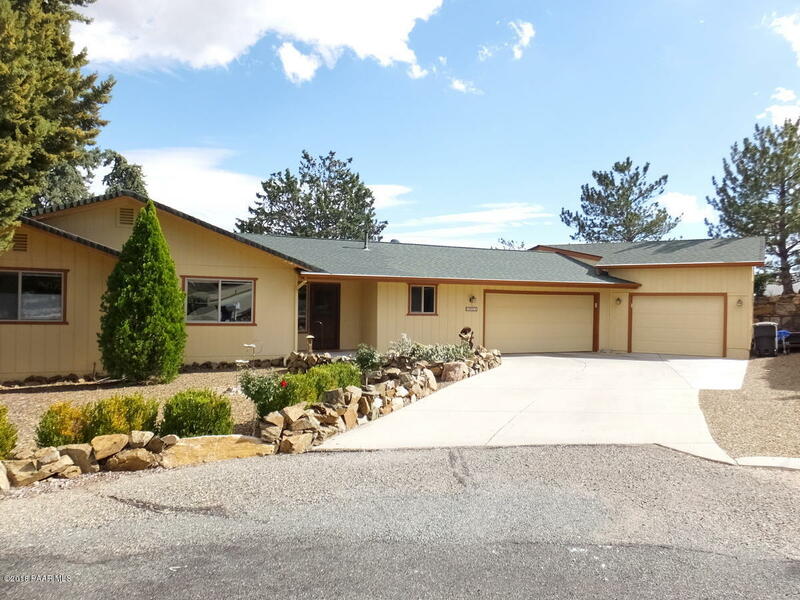 Well Maintained, Professional up-grades, Ceiling Fans,'' Low E'' windows, Hardwood Flooring, Quality slide-out Ki"
"This beautiful 3 bedroom and 2 bathroom ranch style home is move in ready. 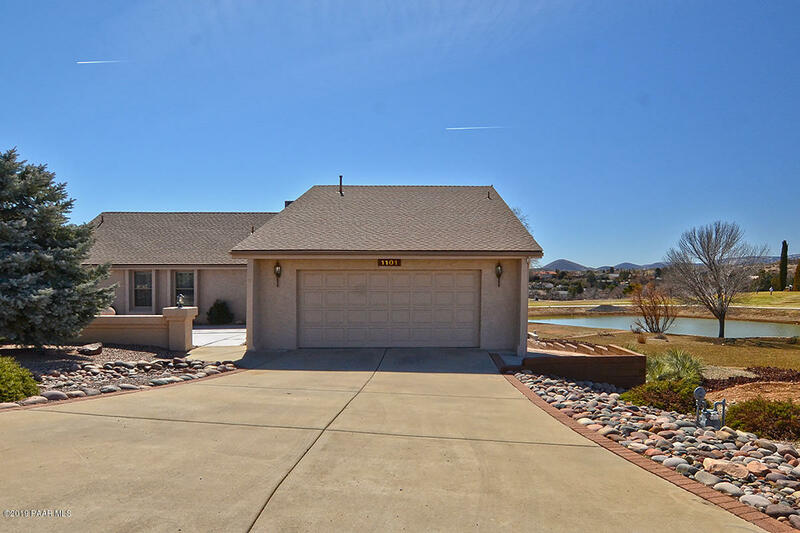 The gorgeous home shows like a model and has tons of upgraded features and new interior paint. This well thought out floor plan flows well from room to room and boasts ceramic tile, floating engineered hard wood floors along with carpeted bedrooms. The light and bright home has a skylight, five high-end ceiling fans, stainless steel appliances, custom counter tops and back splash. The custom window treatments, roll-out s"
"Beautiful, updated home on a 3.78-acre ranch in Dewey-Humboldt with a new roof! Bright open living room with beautiful views and a great woodburning stove. The updated eat-in kitchen is spacious with granite countertops, stainless-steel appliances and lots of storage. Large master bedroom includes and en-suite bathroom with dual sinks and walk-in closet. A large deck off the kitchen and living room allows for great outdoor living as well. 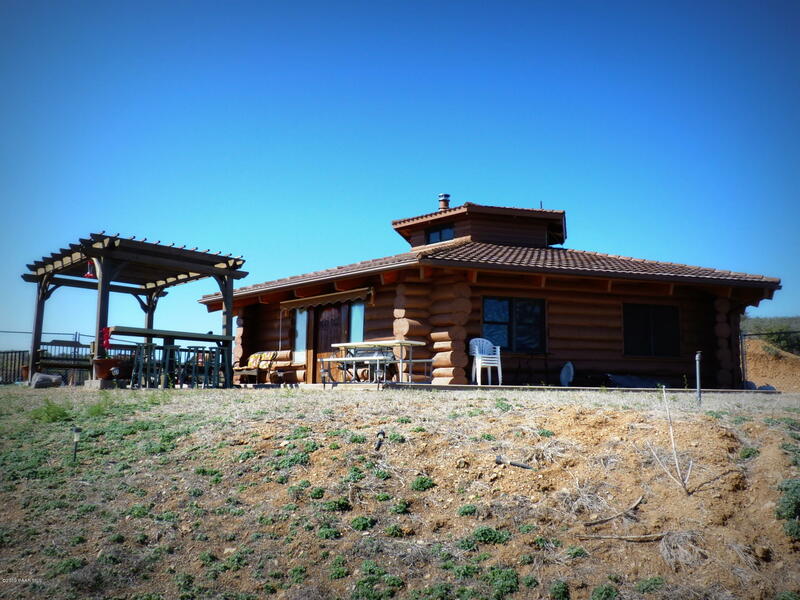 This wonderful horse property has an all weather tack an"
"AMAZING VIEWS! Quiet lot with no close neighbors. Lovely covered patio in front that wraps around into an upper level covered deck in the rear. One story home with walkout basement. Main living area at ground level. Enjoy the spacious open floor plan with large picture windows for lots of natural light. Modern, upgraded kitchen with TWO ISLANDS, & breakfast bar. Tons space with lots of cabinets and granite counters. Gas fireplace in cozy dining area. Master suite with private entrance to deck. " "Fantastic views of the Bradshaw Mountains from the back covered deck. The home features a large great room with a gas fireplace, also contemporary wood sliding door with transom and enclosed blinds. The kitchen features and a wonderful eat-in kitchen area with bay window. There is a walk in closet in the master and access out to the fantastic deck! Features include: Kitchen remodel with cabinets, counters and stainless steel appliances in 2015, Fireplace update in 2017, new HVAC in 2017, new hot"